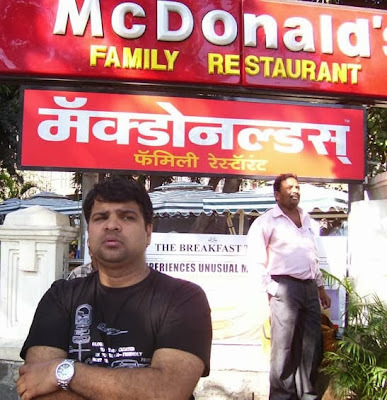 For the last two year , I didnt make it to Mumbai, Busy with TECHYOG, no so much busy though, but truth is that I didnt make it. This time I decide to make it happen and yes its done. 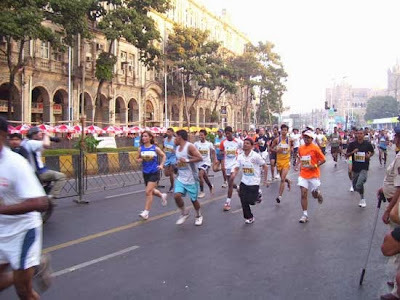 I reached Mumbai on 13th January and lucky to experience the Mumbai Marathon 2010 after the last one I had seen in 2007 and the one with som cool Snaps in 2006 Mumbai Marathon. As per the Schedule we got late to reach the CST (Chatrapati Shivaji Terminus Station) Road, on Jitu's Bike, A 45 minutes ride from Chembur. 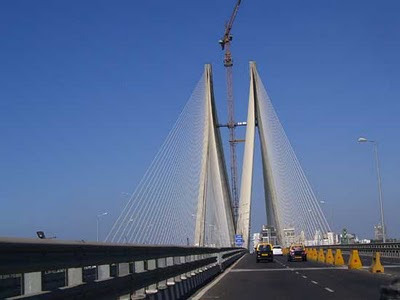 Ajit as usual with his Marathon Punctuality time of 6am is already there and enjoying the colors of Skirts, on the Road. 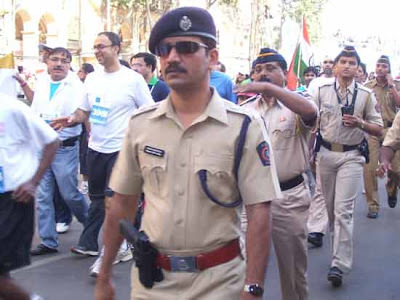 The security arrangments for the Marathon 2010 in Mumbai is bit tight.